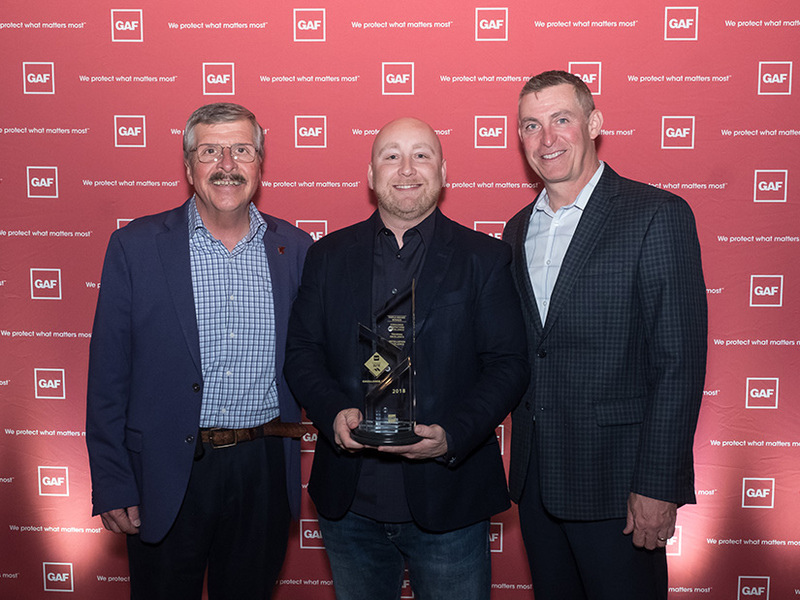 For the 5th year in a row, Home Solutions of Iowa has received the most prestigious contractor award that GAF offers: The GAF President’s Club Award. The GAF President’s Club Award distinguishes roofing contractors dedicated to premier service, reliability, and performance for their residential or commercial customers. 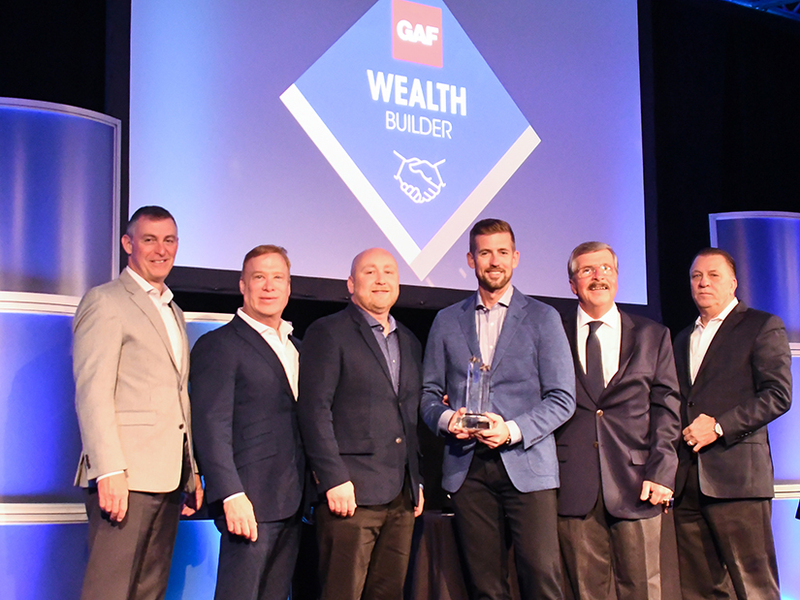 The GAF President’s Club Awards distinguish roofing contractors dedicated to premier service, reliability, and performance for their residential or commercial customers. President’s Club Award winners are selected from an elite group of roofing contractors that must first demonstrate proper licensing, maintained insurance, a proven reputation, and a commitment to ongoing professional training. In addition, qualifying contractors must also meet criteria to earn the designation of a GAF Master Elite® residential contractor. 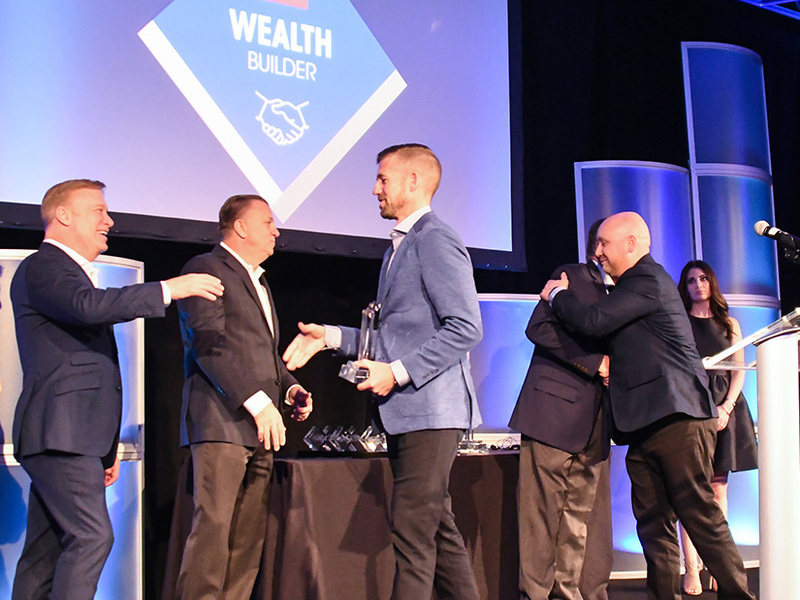 Award winners represent the top 1 or 2 percent of roofing contractors nationwide. HSI has earned a two-star distinction for meeting specific criteria across high standards in performance, reliability, and service. As a 2 Star President’s Club Steep Slope Award winner for the second year in a row, this highly coveted award recognizes Home Solutions of Iowa as one of the “elite of the elite” residential roofing contractors in the United States. We are Iowa’s number one roofer. GAF is North America’s largest roofing manufacturer, and only GAF Master Elite® Contractors can compete for its President’s Club Award. Pictured in the middle is Richard Anderson and Joe Smith with our 5th President’s Club Award. Putting another up on the shelf! 2018 marks our seventh year in a row bringing home the GAF® Triple Excellence Award. What does this mean? We have distinguished ourselves as one of the top performers in all three categories of warranty registrations, employee training, and quality installations. Richard Anderson pictured center is shown accepting the GAF® Triple Excellence Award. Home Solutions of Iowa brings a level of customer service and expertise that is virtually unrivaled by other roofing contractors. With more than 20 years of Midwest construction experience and a stellar reputation throughout the community, you can feel confident that your roof replacement is in the best hands. In fact, we support this claim by offering the Golden Pledge® Limited Warranty, one of the strongest warranties in the industry, which we are able to offer thanks to our status as a GAF Master Elite® Contractor. I am satisfied with the quality of the shingles and the installation was excellent. - William C.